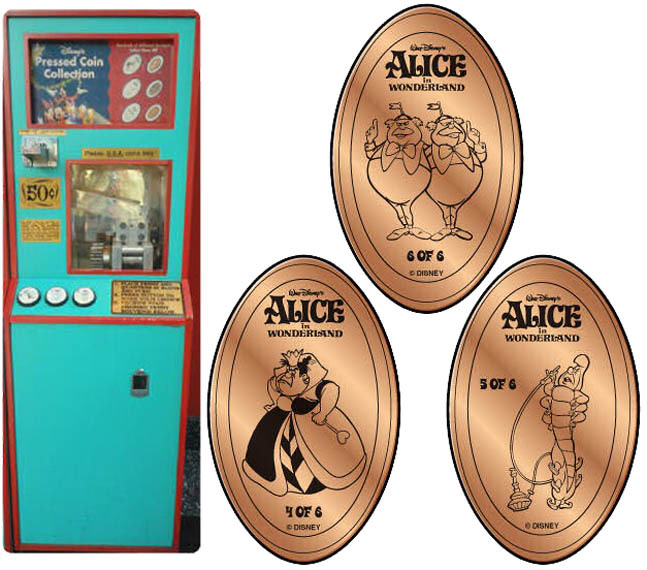 There are many machines throughout the park (a mix of Eurolink and PennyCollector) and they change constantly. No one list is accurate or complete, so please use the information here as a guide only. You may want to consult James very fine listings available at presscoins before venturing out. And once in the park, you may also want to ask for a listing at Guest Services. Finally, if you ve come unprepared and need quarters or pennies, the various shops are generally willing to help you out. The All-Star Music Resort is located in Disney s Animal Kingdom® Park area. Machine 3 Quarters - 1) 2018 Minnie, 2) Scully and Mike (Monsters INC), 3) Stitch with instrument. 1/02/16: 2016 Daisy Duck Quarter design installed (2015 design retired).